The World Relief Baltimore Immigration Legal Clinic ("The Clinic") advises and represents immigrants and their family members in immigration matters such as: applying for permanent residence and work permits, petitioning for family members to remain or reunite with them in the U.S., and applying for naturalization. 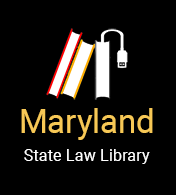 We provide assistance to immigrants or their family members who reside within the state of Maryland, or who have cases with the Immigration Court in Maryland. In addition, the Clinic participates in a joint program with the University of Maryland School of Law ("UM") to provide free consultations to individuals in deportation proceedings on a biweekly basis with the collaboration of volunteer pro bono attorneys. The Clinic is committed to ensuring that legal consultations are available on a continual weekly basis so that immigrants and their families will be able to understand their legal options. La Clínica provee evaluación y representación en asuntos de inmigración a extranjeros y sus familias que viven en Maryland o tienen un caso de inmigración con el Departamento de Seguridad Nacional (DHS) o la Corte de Inmigración en Maryland. If you have a question or seek assistance, please come for a consultation in English on Wednesdays (arrive before 9:30 a.m.). There is a fee of $70. We do not take new cases by phone or accept collect calls. Si tiene una pregunta o desea ayuda, favor de venir para un consulta en Español los martes (llegue antes de las 9:30 a.m.). El costo es $70. No damos consultas por teléfono y no aceptamos llamadas por cobrar. The Clinic is located in downtown Baltimore near the Dept. of Homeland Security and Immigration Court; accessible by commuter trains, Light Rail and bus routs. It is located at the corner of Baltimore Street and Charles Street, at the Charles Center subway stop. Localizado en el centro de Baltimore, cerca las oficinas de Imigracion en la esquina de Baltimore St. y Charles St., al lado de la parada de la estacion de metro de Charles Center Station.